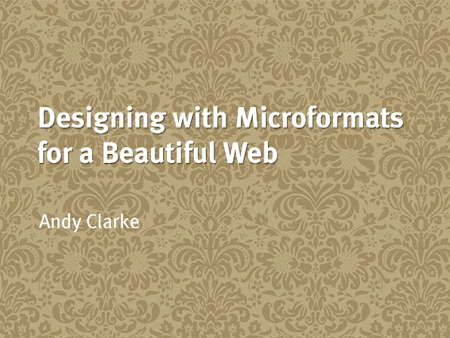 In this video, author and CSS guru Andy Clarke shows how to implement these simple, structured formats in HTML. 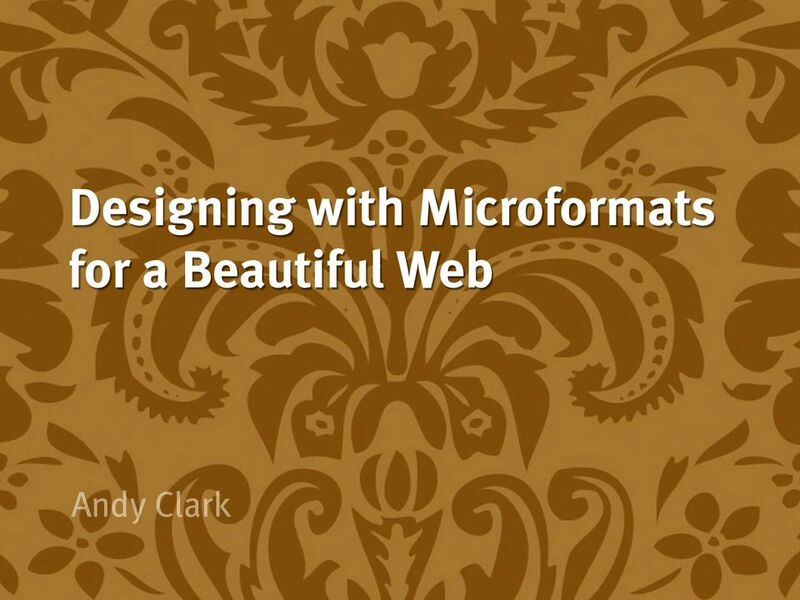 He takes a design-based approach and provides a number of visual examples so that those with a less technical background can get started using microformats in their designs right away. He demonstrates these concepts using examples from a fictitious social networking site. This is an online streaming video, not a download. After making your purchase online, you can log into your Peachpit account page to view Designing with Microformats for a Beautiful Web anytime, anywhere with Internet access.